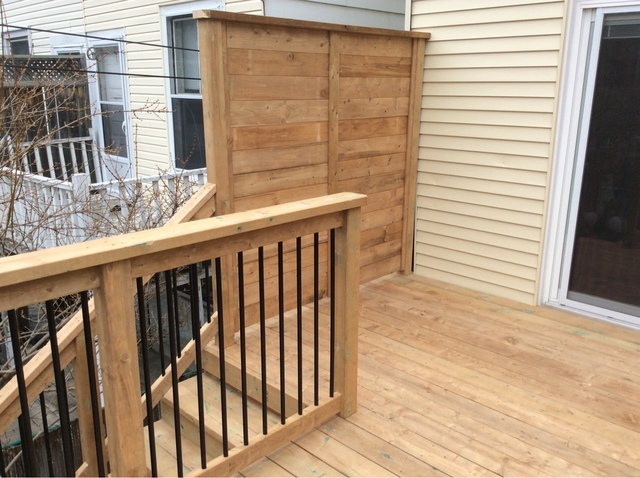 Crossgate Fence & Deck Inc. 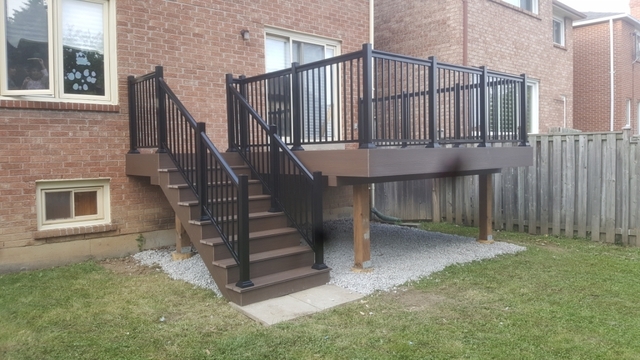 Reviews for Crossgate Fence & Deck Inc.
Our deck and fence replacement project – with our neighbours’ full participation on the common fence – went smoothly from start to finish, with results that exceeded our expectations. 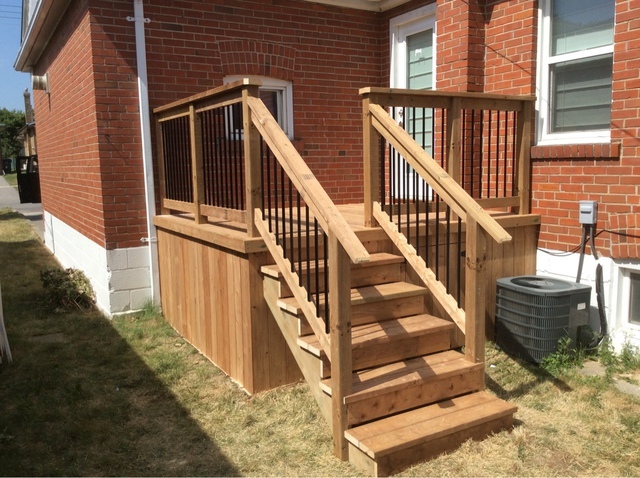 Ron made sure he bought the lumber for the job just before the price was due to increase, saving us a substantial amount of money. We incorporated 3 pergolas in the design and rather than simply cutting the ends at a 45°angle, Ron carefully shaped each one in an angled ~ shape. Stunning! We can echo everything written here about Ron and his team: professional, attentive to our views and highly dependable. Hello Jose and Jeff. Just read your stunning review!! Thank you for taking the time to do this. I am so pleased that you are satisfied with the completed project. It was also my pleasure doing the job for you. Thank you once again and I hope you have many years of enjoyment! Ron and his team (especially Aubrey!) 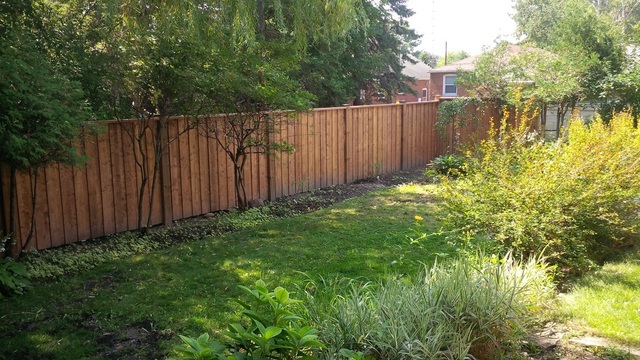 did a great job rebuilding a large portion of our backyard fencing which was damaged in the May windstorm. Total professionalism from quote to build to clean-up. 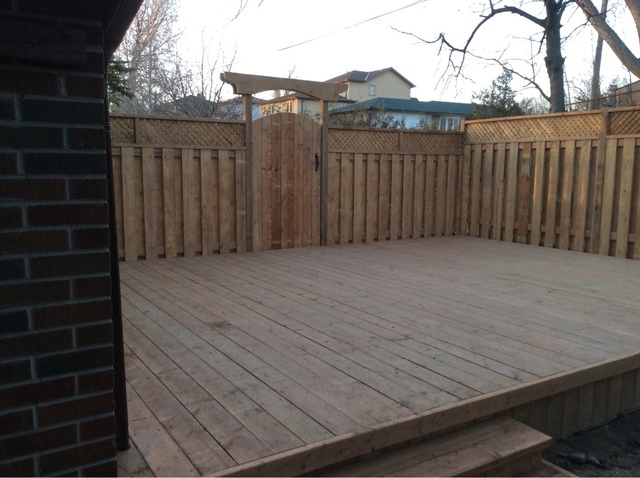 While other contractors quoted based upon 15 minutes in backyard Ron was there over a hour ensuring he new exactly what we required. 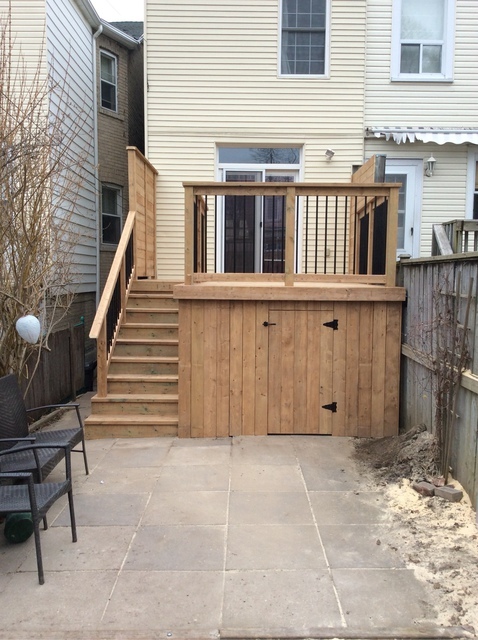 The job was extra challenging as they had to match the remaining fence which is custom designed due to slope in back yard. They matched it perfectly and came in on budget. We highly recommend them! Hello Bill and Debby . We thank you for your review and I have passed on your special mention to Aubrey. It was a pleasure doing business with you and I am happy that you are pleased with the work we did. On time, on budget....great attitude! What more can you ask for! 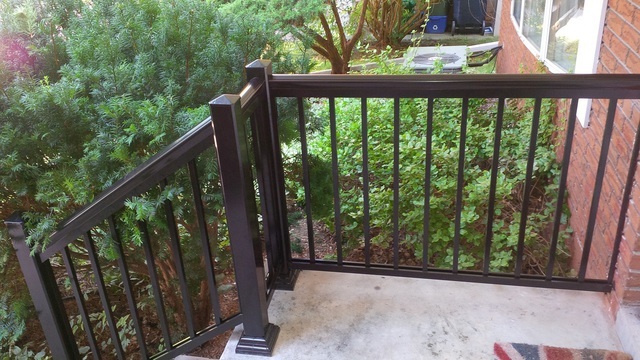 :) After a few years waiting and saving, we finally replaced the old rotting 35 year builder deck with a new composite deck. We met with a few folks for estimates and Ron was very easy to talk with and price was good as well. My wife and I both agreed and moved forward with Ron. Glad we did as his team was as personable and hard working as he was. All done in 3 visits over a week. They also cleaned up everything nicely which is an issue I have had with prior contractors but not Ron and his team. My backyard looks cleaner now then when they started! Look forward to finally enjoying a deck with the family! Wow! Thank you for such a great review! It was certainly my pleasure to provide you with something that you are so pleased with. The Team at Crossgate did a great job. From the beginning Ron was very engaged and had some great input into our ideas. 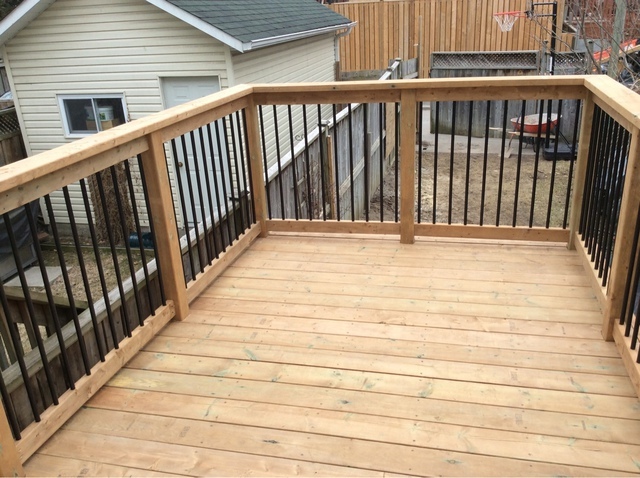 They were punctual with their start date and built a solid deck in short time given the weather challenges. We would recommend them to anyone and everyone! It was certainly a pleasure to do the work and I am pleased that you were satisfied . Ron and Crossgate are great. 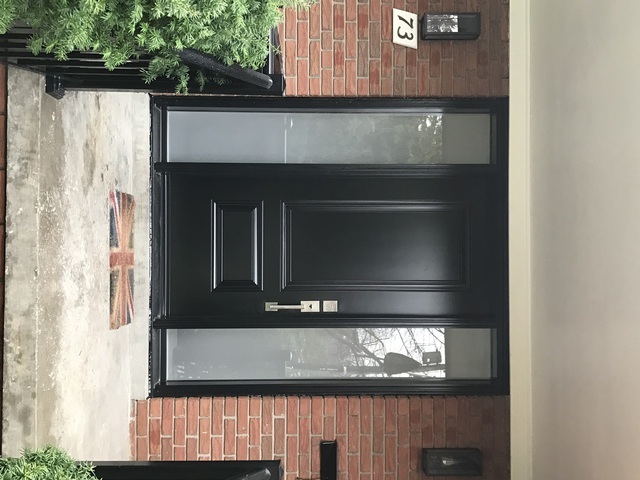 Ron was really responsive via phone and email, arrived on time, discussed options and challenges with us, and overall was really professional. His crew was also great. 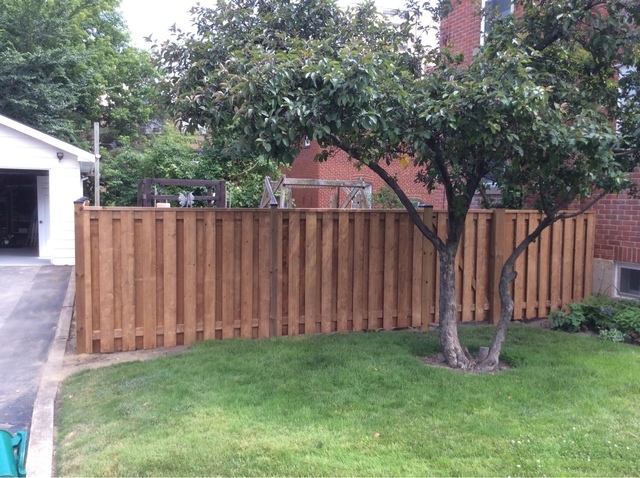 They worked quickly and efficiently to create a really lovely fence. One of the boards ended up splitting soon after the installation and Ron was really accommodating and came back to repair it himself - no questions asked. 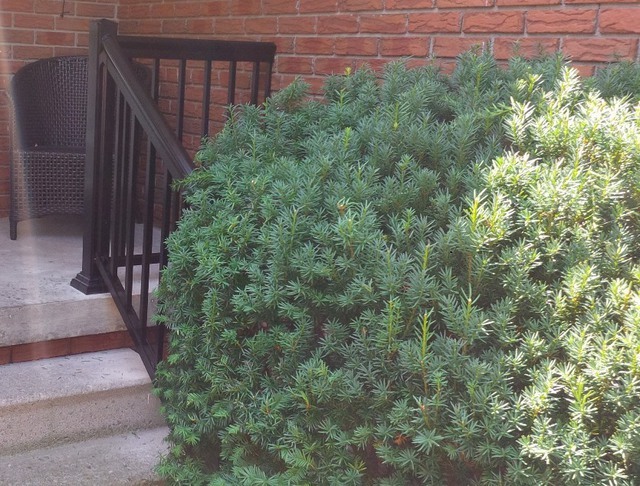 We're really pleased and love sitting out in yard because we have privacy and an attractive fence. After calling numerous people and realizing all of them were not even the slightest bit professional, even just answering a simple phone call politely. I was referred to Ron by a friend of a friend. From the first phone call, he was extremely polite, courteous and willing to work within my budget. He came to my house, gave me an estimate, by the next day he had a contract drawn up for me and my neighbor. He started when he said he would, asked for a reasonable deposit, and showed up early with his team who was also extremely polite and friendly. 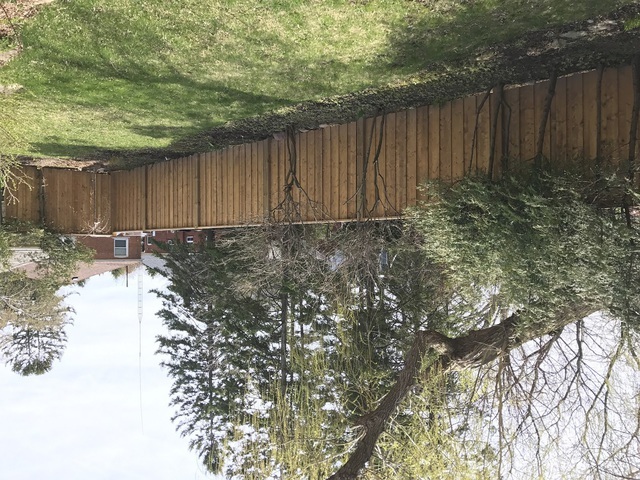 After ripping down the old fence, Ron discovered we had a retaining wall problem and quickly devised a new plan to ensure all would be taken care of. And after only a few days it was done and all cleaned up like no one was there. Absolutely astonished on how perfect it looks!! 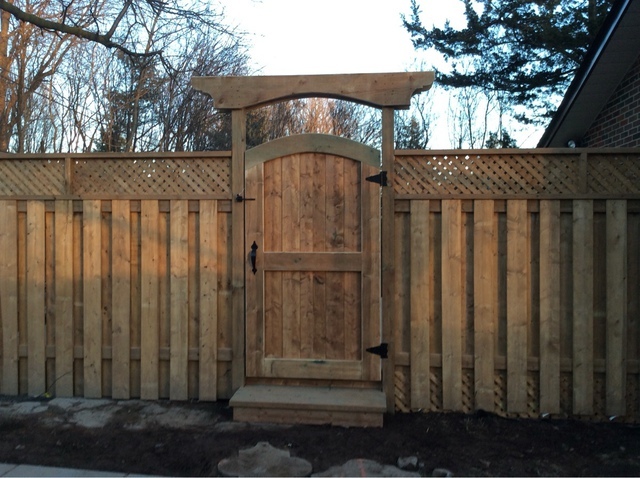 Ron and his team did such an amazing job on the fence as well as the retaining wall!! Even the materials they use are high quality! 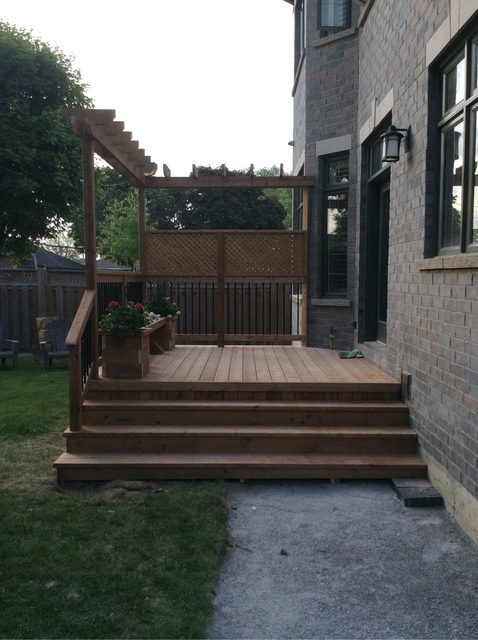 I couldn't be happier with there workmanship and overall attitude they had towards their job. Will definetly be recommending Ron and his team to all my friends and family in need of quality work and friendly service! It was my pleasure from my team to you. The deck is BEAUTIFUL. Amazing job. Exceeded my expectations hands down. Job well done. I would refer anyone to their work. Hi Jackie Thanks for your Review it was my pleasure. Portions of our fence had fallen over the winter. I requested a quote from Crossgate on HomeStars and received a call from Ron a couple days later. He was able to come out to the house the same day to provide an estimate. His estimate fell in the middle of the four companies who contacted me. My neighbour and I felt comfortable moving forward with Ron and he was able to do the work the very next week. He even emailed us our own respective contracts. His crew was punctual and polite, and completed the job as promised. One suggestion: The tags were left stapled to the bottom of the fence boards. We removed what we could, but some were too close to the ground to access. Having the tags removed would have made the job look that much more finished. Hi Debbie thanks for your Review it was my pleasure. Sorry about the tag. We all know these days its hard to find a reliable contractor, someone who takes pride in their work, is trustworthy and doesn't ask for an unreasonable deposit to finance other jobs they have committed too. In my many years of home ownership I have had my fair share of unscrupulous contractors. Ron from Crossgate will renew your faith in the industry. he started the job when he said he would and completed when he said he would within the budget we discussed. He cleaned up after himself and the workmanship looks excellent to me. Hi Simon.Thanks for your Review it was my pleasure In Joy. 6 months ago we decided it was time to replace our old leaning fence before it fell down. 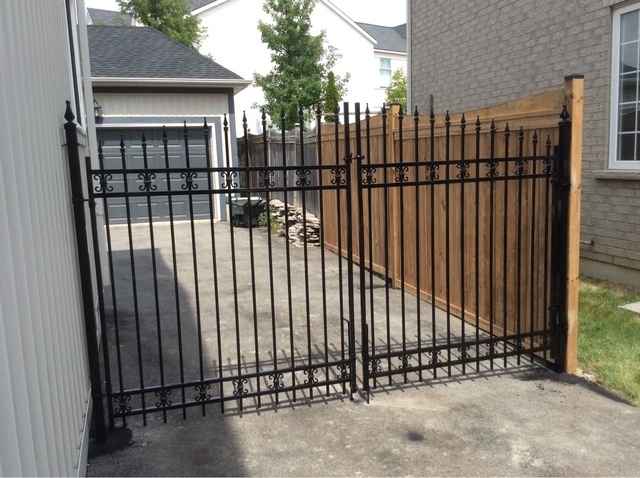 After getting 4 quotes we decided to go with Crossgate Fence & Deck. Ronald was very informative and professional and made us feel at ease, knowing the job would be done right and at a reasonable price. Would recommend no problem. Thanks for your review. It was my pleasure! 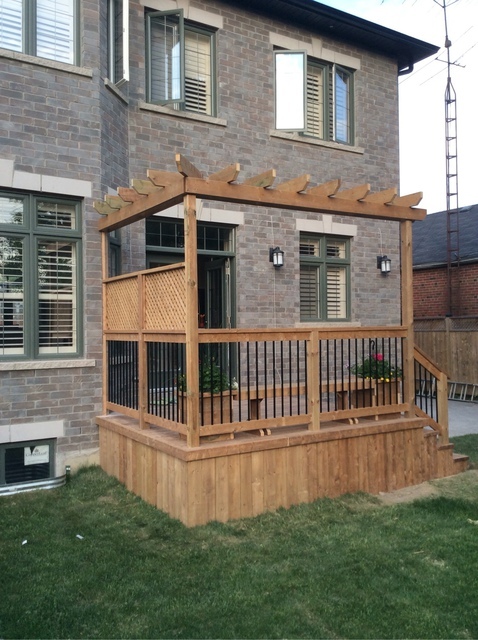 More about Crossgate Fence & Deck Inc.
We specialize in Decks and Fences in and around the GTA.